On April 3, an informal holiday known as Tweed Day is observed. Not only the origins of this non-traditional holiday are unknown, it is also unclear what exactly this particular event celebrates. There are two main versions concerning the subject matter of the holiday. According to the first theory, Tweed Day is dedicated to American politician William Magear Tweed, also known as Boss Tweed, who was born on April 3, 1823. Tweed is considered one of the most notorious politicians in the Untied States history and the “poster boy” for political corruption. Although Tweed's birthday coincides with Tweed Day, it is incomprehensible why anyone would want to celebrate the birthday of a corrupt politician. 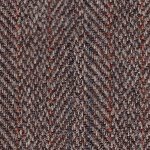 So there is the second theory, which suggest that Tweed Day celebrates a rough woolen fabric that originates from Scotland. Tweed clothes became popular among the representatives of the middle class during the Edwardian and Victorian era. Tweed suits, jackets, slacks, and overcoats are still considered fashionable. Tweed clothes are associated with many fictional characters, such as Sherlock Holmes, Indiana Jones, Rupert Giles from Buffy the Vampire Slayer, and several incarnation of Doctor from Doctor Who.